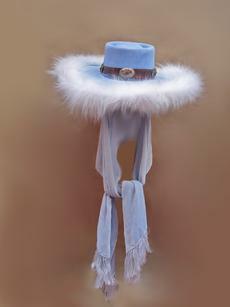 Something to keep you warm and frame your beautiful face, this sky blue fur felt hat is trimmed in a generous fluffing of white fox. 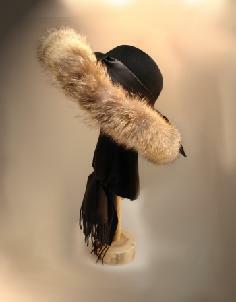 The silk velvet attached scarf will keep your neck warm and your hat from landing in the snow. 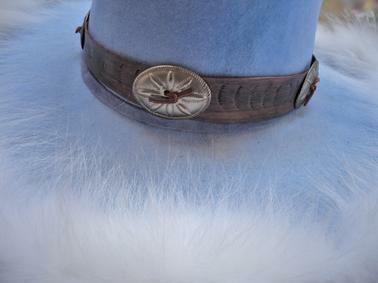 Satin lined, leather tooled hat band with a silver metal heart, the Teton is sized small , medium, and large. We have a size medium in stock. 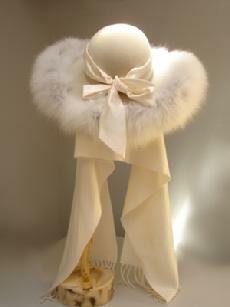 Call to order your size.